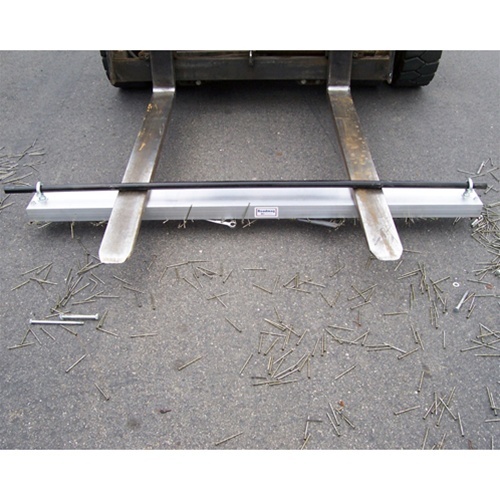 Roadmag Sweeper Magnet R36 | Offroad Magnetic Sweepers | Free Shipping! 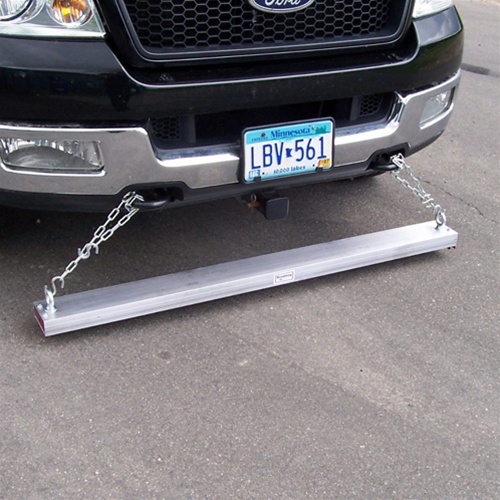 Our Original 36" Wide Roadmag mounts easily to almost any vehicle, and picks up sharp objects from roads, parking lots, driveways, etc. 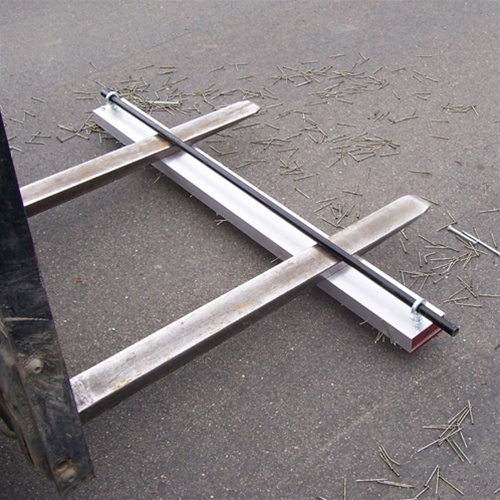 No operating or maintenance costs. Comes fully assembled and includes the eyebolts. Sorry, neither chains nor mount bar are included. 200 lbs. of lifting power! 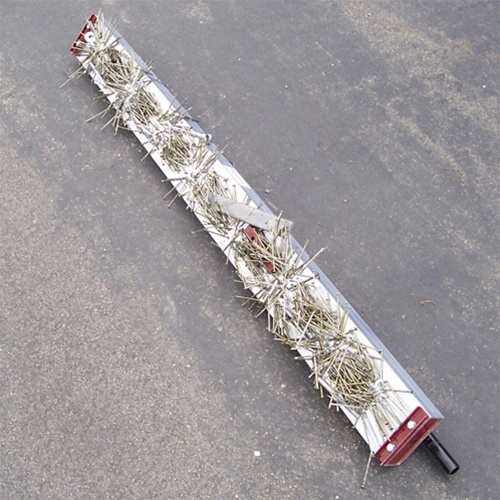 Size: 2" x 5" x 36"
Recommended Sweeping Height: 1.5" - 3"
1-1/2" to 3" 1-1/2" to 3" 2" 2" 2" 4"
Operating Speed 2 to 5 m.p.h. 2 to 5 m.p.h. 2 to 5 m.p.h. 3 to 8 m.p.h. 3 to 8 m.p.h. 2 to 5 m.p.h. depending on model 275-400 lbs. depending on model 200-400 lbs. depending on model 250-350 lbs. depending on model 300-350 lbs. depending on model 600 lbs. Sizes Available 2" x 5" x 24"
2" x 5" x 36"
2" x 5" x 48"
2" x 5" x 60"
2" x 5" x 84" 2" x 5" x 48"
2" x 5" x 72" 4" x 5" x 36"
4" x 5" x 48"
4" x 5" x 60"
4" x 5" x 72"
4" x 5" x 84" 4" x 5" x 48"
(79" O.D. w/ wheels) 4" x 5" x 60"
(79" O.D. w/ wheels) 5.5" x 7" x 72"
depending on model 56-75 lbs. depending on model 45-83 lbs. depending on model 72-92 lbs. depending on model 85-95 lbs. depending on model 230 lbs.